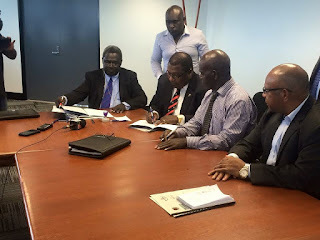 Government of Papua New Guinea and the Government of Autonomous Region of Bougainville have signed an administrative agreement today at the Manasupe House at Waigani. Present at the signing today were a delegations from the Autonomous Region of Bougainville, including political leaders, and the long serving Vice President of ARB, Mr. Patrick Nasira. Signing of the two administrative agreements is a requirement under various legislation dealing with peace building in Bougainville. Chief Secretary Mr Issac Lupari has thanked the government of Autonomous Region of Bougainville for the signing today. He assured delegations from Bougainville and other dignitaries present at the launching that after the signing, both governments will work together to make sure the agreement will be implemented. Mr Lupari also expresses his thankyou to other partners who have been working with the PNG government and ARB government, especially United Nations. He stressed that the government will need their assistance and urged them also to work in partnership with the responsible authorities that were assigned to the agreement signed. ABG Chief Secretary Joseph Nabotau has also expressed his thanks to the government of PNG for their assistance. ABG Chief Sec says both governments have been in a collaborative effort to create a neutral and independent entity to prepare, plan, and conduct the referendum. 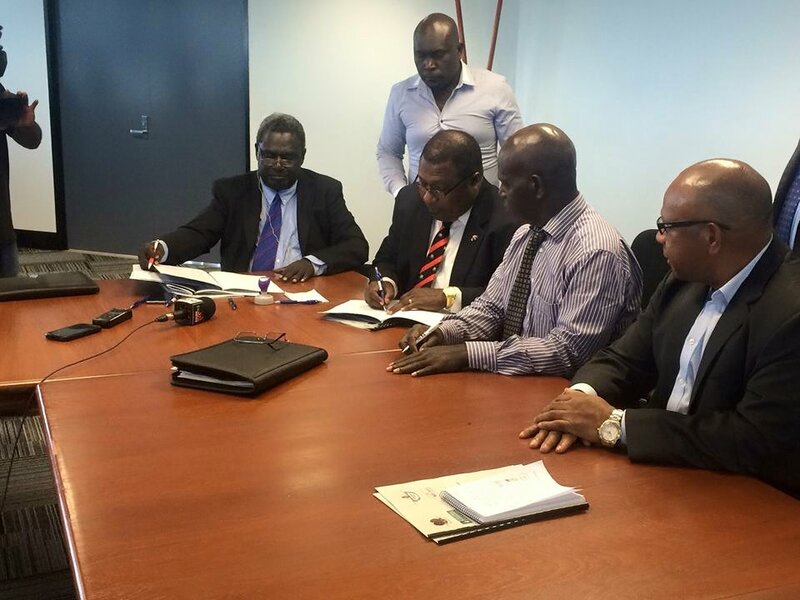 Both governments have come up with an agreement to create Bougainville Referendum Commission. He acknowledges the support of the national government and development partners for making the commission possible. Mr Nabotau stressed that the signing today shows the effort the commission has done to come this far. ABG and the national government are committed in delivering services to the people of the Autonomous Region of Bougainville.